I remember the first time I heard the word "balayage": It was years ago, in reference to Gisele Bündchen's otherworldly mane. Like everyone else, I was enamored by the supermodel's sun-kissed highlights and the way the golden gradient provided dimension to her cascading bombshell hair. From then on, I associated the term balayage with dream hair—in other words, perfectly blended highlights that look like they were achieved by growing up on the beach in Brazil. Years later, that same visual association with balayage has stuck. Whenever I scroll through Instagram or Pinterest, I'm easily enamored by anything I identify as balayage that could work on my own hair (which is such a dark brown it's basically black). I'm always doing double takes of celebrities and models brandishing flawless brunette beach waves accented by honey or ashy blonde highlights that blend effortlessly into their darker hue. So when I made an appointment to get my hair colored at L.A.'s Society Salon, "balayage" is exactly what I asked for. A forward-thinking salon on Melrose Avenue just a short walk from Byrdie HQ, Society offers membership packages that include unlimited blowouts, haircuts, and single-process color, as well as à la carte services like the full highlight I went in for. It wasn't long after walking in and having a seat, taking in the industrial-meets-luxe vibes of exposed brick and stained concrete, that I quickly learned it wasn't really balayage that I wanted. While flipping through photos of the hair look I sought to attain (refer to the celeb and model inspo I had been collecting above), the colorist, Amél, tried her best to correct my confusion. "The most important thing that people need to know about balayage is that it's a technique and not necessarily a look," she says. Instead of balayage, what Amél ended up using was a combination of teasing and foiling to create soft and diffused highlights. I left the salon with my literal dream hair—the epitome of my understanding of balayage perfection—and it wasn't even balayage. Society's co-founder Sam DiVine, who trained alongside Sally Hershberger before revolutionizing the salon experience with the membership model, later sat down with me to walk me through the balayage myth and why so many get it wrong. "Balayage in and of itself is just a technique that means painting the hair with color—like using a paintbrush and free-hand painting the hair," defines DiVine. "So rather than strategically going through and sectioning out hair with a tail comb and then foiling it very specifically, it's a little more visual—but that doesn't necessarily mean you're going to yield a specific end result." 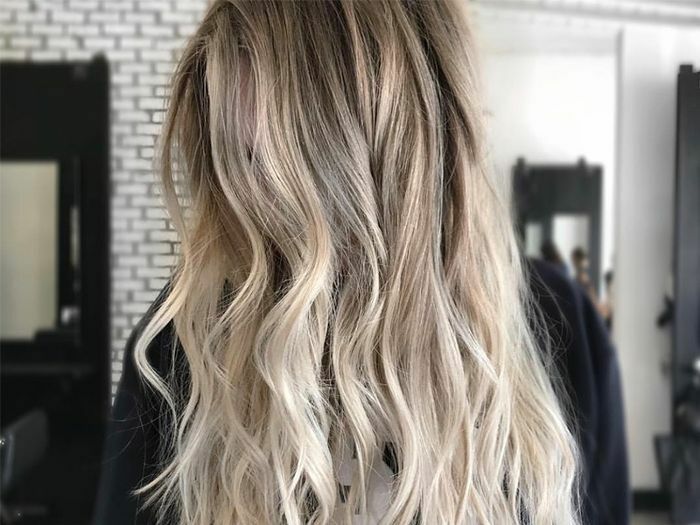 But because the technique has been and is able to be used to yield bright baby blonde highlights and really soft transitions and beautiful dimension (à la Bündchen), it's often been incorrectly perceived as the only way to get that result. "We have a lot of clients coming in who are super adverse to having any other technique done on them, when really there's a better way for them to get their desired result," admits DiVine. For colorists, the technique used is so important to achieve a specific look. "The way I see it, hair is art, and we're all artists," explains Amél. "Different artists use different mediums to create their work." For that reason, she advises that the best way to communicate with your colorist is with images of your desired result, then let your colorist use the mediums they gravitate to. "For example, I prefer to paint, or balayage, directly onto hair that has already been pre-lightened to a lighter level or is naturally at a lighter level," notes Amél. Foils provide more precision. "If the hair has been previously colored, I often need foils to get the desired look that I'm going for." "You could probably show four or five different photos that are all really similar and ask most women, 'Hey, how do you think this is done?' and they'd be like, 'Oh, that's definitely balayage.'" says DiVine. "But then you'd find out that it was either pure foils, or a combination of foils and balayaging, or maybe just all balayage." She explains that determining the best method really just depends person to person because it goes back to what's on your hair already, what's your natural level, what they have to do to lift the color, and also the end result you're looking for. "Balayage is not the end result," DiVine concludes. "Balayage is the technique you use to get to a specific end result."